If you need any convincing that emoji pictographs are relevant to communication, Oxford University Press has announced its Word of the Year is the “Face With Tears of Joy” emoji. The publisher partnered with keyboard-app company SwiftKey to determine which emoji was getting the most play this past year. Oxford’s Word of the Year: Face With Tears of Joy. It has been the year of the emoji for marketers. Facebook and Twitter have begun using reaction emojis, wherein users can select emojis to express their emotions, such as love, laughter, happiness, and anger. Emojis have also been used in recent campaigns by large brands, such as Coke, and even The White House. Here is a list of tools and resources to learn the language of emoji to market your brand. There are emoji dictionaries and translation guides, cheat sheets, blogs for emoji updates, educational tools, and emoji tracking apps. Coke. 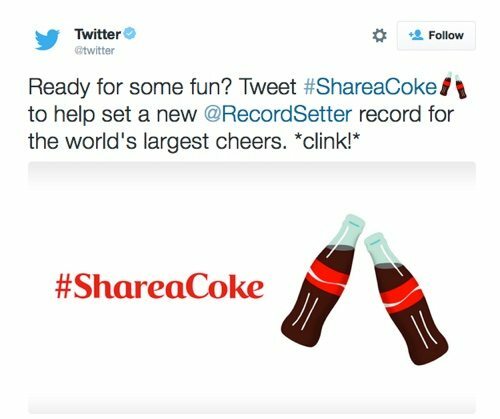 Coke became the first company to pay Twitter for a custom emoji campaign. When people tweet the hashtag #ShareaCoke, the custom emoji appears — a pair of glass bottles with the signature red label. While most products are too specific for their own emoji, the iconic Coke bottle may be the exception. Domino’s Pizza. 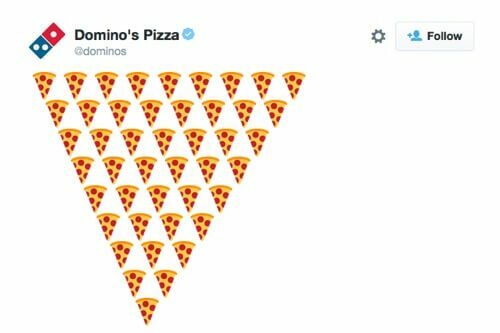 Domino’s used a series of pizza emoji tweets to announce a new “tweet to order” system. Customers can now text a pizza emoji to order a pizza. 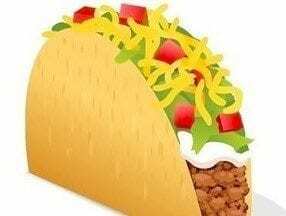 The company plans to integrate emoji as a permanent option for ordering. WWF. 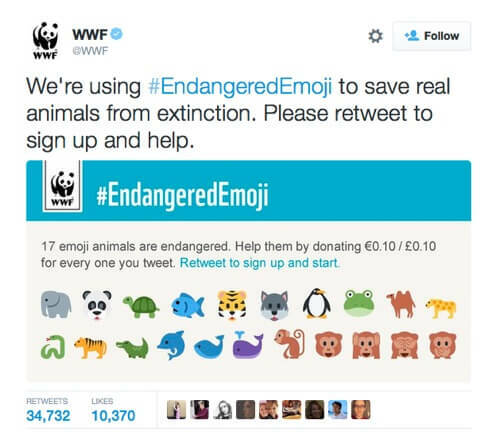 World Wildlife Fund used #EndageredEmoji to raise awareness and support. The campaign is a good example of using emoji for a larger conversation, rather than just promoting a specific brand. The White House. The White House Council of Economic Advisors released a report about the status of millennials. The report was accompanied by an infographic full of emojis. Recently, Hillary Clinton also tried to use emojis to connect with millennials on the issue of debt. Emojipedia. This is an encyclopedia of emoji. Browse emojis by name or category. You can also browse by platform, such as Apple, Snapchat, Google, Facebook, and Twitter. All emoji names on the Emojipedia are the official emoji names as part of the Unicode Standard, a character coding system set by The Unicode Consortium. Emojipedia also allows you to promote your business by adopting an emoji. 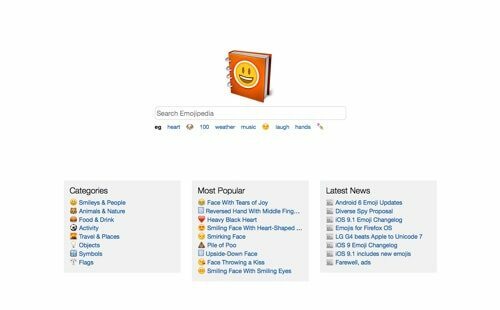 Emojipedia Blog. This is the official blog of the Emojipedia. Keep current on emoji updates and proposals. Recent posts include “Unicode 9 Emoji Updates,” which identifies the emoji candidates to be added to Unicode 9.0 in the 2016 release. Emoji for Dummies: The Essential Translation Guide. This is an emoji translation guide from HubSpot, the marketing platform. The guide includes translations for 35 obscure, confusing, or oddly specific emojis. 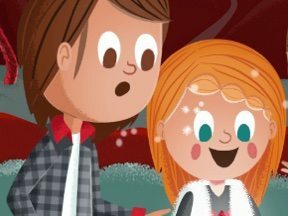 Listed are faces and emotions, random objects, food, celebration images, animals, astronomical and meteorological images, games and sports, and obscure signals. EmojiTracker. 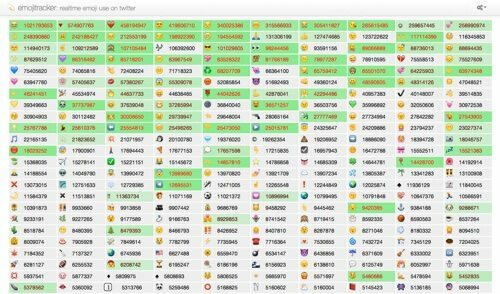 This is a real-time tracking app of all emoji used on Twitter. You can access the core applications of EmojiTracker on its GitHub site. Unicode Emoji. This page provides information about Unicode emoji, including a technical report that provides specs, history, design guidelines, and other topics of general interest on emojis. Unicode emoji is part of the Unicode Standard. Unicode Emoji Charts. These charts provide a visual layout for emoji characters, including images from major current vendors and the original Japanese emoji, a timeline for when various emoji were added to Unicode and their sources, and more. World Translation Foundation. The World Translation Foundation was founded in 2013 as a way to promote, explore, and translate the written word into the pictorial alphabet on emojis. The site features The Emoji Dictionary, a crowd-sourced emoji resource to build, share and design emojis. 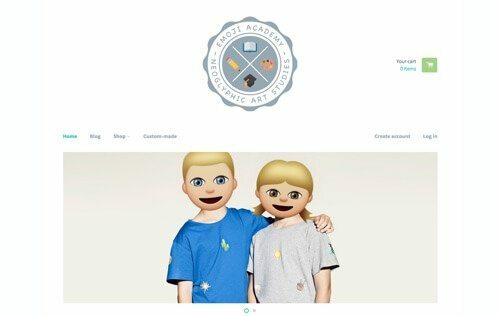 Emoji Academy. Emoji Academy is dedicated to bringing you the latest stories, knowledge, and fun in relation to emoji and “neoglyphic art studies.” It features blog posts, products, and collections on emojis. Get Emoji. Find, copy, and paste emoji by category, or search by name or description. Get Emoji also has a blog for emoji news, tutorials, and assistance. Emoji Finder. Here is a handy emoji finder tool. Find an emoji by simply typing a term, hitting “enter,” or clicking the results you want. Emojis are grouped by platform, including Unicode, Apple, Android, and Twitter. iEmoji. iEmoji is an emoji keyboard for your computer, with categories for people, places, nature, objects, symbols, skin tones, and themes. Find meanings, convert emoji characters, and access a shortcode cheat sheet. Emoji One. 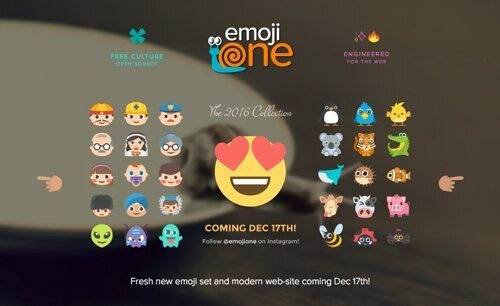 Emoji One is a free set of emoji designed for the web. Websites can translate emoji code from mobile devices and legally display the corresponding emoji icon for their users. Emoji One also provides cheat sheets, a reference tool to compare emojis on various platforms, and a list of useful resources. Emoji Dictionary. This dictionary is a community project to get people fluent in emoji. Promote your own emoji translations and decrypt messages you get. Emoji Cheat Sheet. Here is a simple one-page cheat sheet of emojis and their shortcodes. Emoji on Wikipedia. This site provides the history of emoji, code charts, and information on implementation. It also provides a variety of external references. Can I Emoji? Can I Emoji? displays the current status of native emoji support across iOS, Android, and Windows. 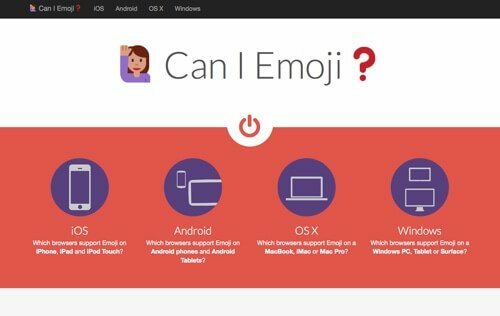 Find out which browsers support emojis.